Snowdrop85: Cute New Collection From Nails Inc! 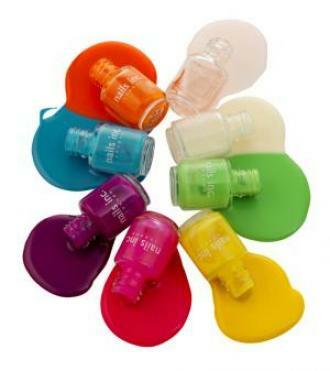 I was just doing the rounds of some of my fave websites and came across this new collection from Nails Inc. Wait for the name...... Kings Of Neon! It's a collection of 8 minis for £22, there isn't a list of colours but the yellow could be Carnaby Street which is a very bright colour but I wouldn't call it a neon. I think the mini polishes are a great idea, I have Carnaby Street and have probably worn it once or twice, although I love to have it in my collection, I can't help feeling the larger sized bottle is a bit of a waste. Personally for me these kind of colours are a few time use and then stored nicely in my collection. At least this way you can get a few more colours for the same price as a full sized collection of four. oh, how i wish i could get a hold of those in the US!